Fixed interest rates stay locked for life, while adjustable rates start low but change over time. Prepare for bigger payments if ARM rates reset higher after the introductory period. Is an ARM or fixed-rate loan better? Even though mortgage rates are rising, they remain low by historical standards. In these conditions, many homebuyers are drawn to the traditional 30-year home loan, but don’t decide too quickly. As attractive as that fixed-rate mortgage may be, you may be able to get an even lower interest rate — and a term that’s more suitable to your needs — with an adjustable rate mortgage. A fixed-rate loan has an interest rate that never changes. An adjustable-rate mortgage, however, resets its interest rate at specific intervals and can be a powerful tool for homebuyers with specific goals in mind. A fixed-rate loan has an interest rate that never changes. ARMs begin with a set interest rate for a specified period of time, then periodically adjust the rate after that. A “5/1” ARM means your rate will be fixed for five years, and then adjusted annually. Some lenders are extending the length of the initial rate lock from the common five years to seven, 10 or even 15 years, making ARMs even more attractive than other types of mortgage loans. After the initial period, the interest rate is based on an index plus a margin. The index may be a published interest rate such as LIBOR (the London Inter-Bank Offer Rate) or a private interest rate developed by the lender. The margin will be a set percentage that is added to the index. Although ARM interest rates are initially lower than a 30-year fixed-rate loan, sometimes by as much as one percentage point, there’s always a chance an ARM rate will reset higher several times over the life of the loan. If you’re settled into your career, have a growing family and are ready to set down some roots in a community you love, a 30- or 15-year fixed-rate mortgage may be right for you. With a locked-in rate, you’ll always know what your payment will be. An ARM begins with a lower interest rate, which means your monthly payment will be more affordable, at least for as long as the rate is fixed. Because of this feature, you might actually qualify for a larger loan, and that can mean a nicer house. Or, to view it another way: Say you want to buy a $300,000 home. It will probably be easier to qualify for the ARM than a fixed-rate mortgage, because the payment is initially lower and absorbs less of your total income. Adjustable-rate mortgages most often appeal to a younger, more mobile first-time homebuyer. Adjustable-rate mortgages most often appeal to a younger, more mobile first-time homebuyer. If you’re advancing in a career that could require you to move to another city within a few years, are thinking about starting a family soon, or want to simply keep your long-term options open, an ARM could be a good choice. If you move away or trade up to a bigger home before the introductory period ends, you’ve benefitted from that lower rate without the hassle of dealing with an adjustable rate or refinancing to a fixed-rate mortgage. In order to entice more business, some mortgage companies allow borrowers to make interest-only payments, sometimes for periods up to 10 years. In that arrangement, your monthly payment only pays interest on the loan, and doesn’t make a dent in the principal. That can allow even lower payments to start, but be very careful when considering this kind of loan. You’re setting yourself up for a sizable jump in monthly payments later when the interest-only term ends. If interest rates rise during the promotional period, it can make the future payment pain even worse. ARMs can feature one or more built-in caps. These may be limits on how much the interest rate can jump for the first adjustment and for each subsequent adjustment. The caps also can limit the maximum interest rate increase for the term of the loan. Some ARMs offer a payment cap, too — a limit to how much your payment can increase. But while such a cap may limit the amount your monthly payment goes up, it might not limit the interest rate. The result can be a payment that doesn’t cover all of the interest due on the mortgage. The remainder is added to your total debt, so you might be paying interest on top of interest — and actually owing more at the end of your loan term than you did at the beginning. Adjustment frequency: How often your interest rate can adjust. Annually is a common frequency. Discounted initial rate: Often referred to as the teaser rate, this is the fixed interest rate during the initial or introductory period. 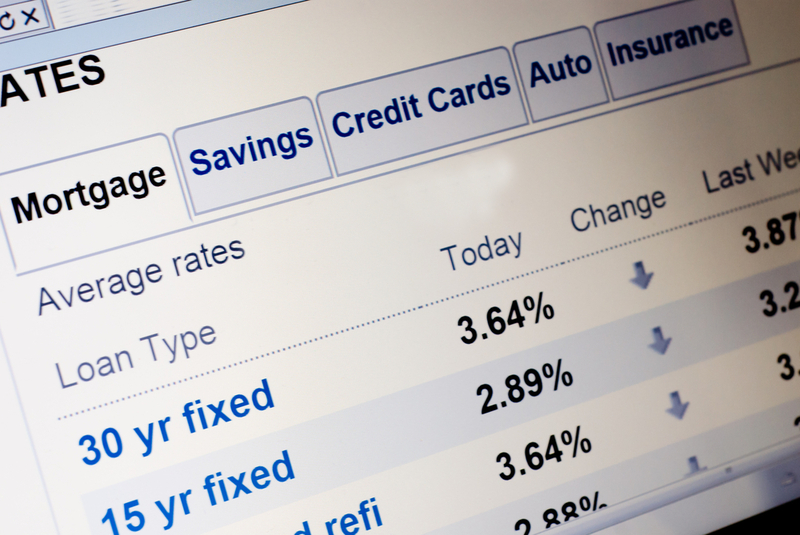 Interest-rate cap: A limit on how much your rate can rise with each adjustment. Payment cap: A limit on how much your mortgage payment can change; usually a percentage of the loan. Interest-only ARMs: With an interest-only adjustable rate mortgage, you’ll pay only the interest — nothing toward principal — for a certain number of years. That means a smaller monthly payment during that time. Be careful, though; this type of loan can land you with a much higher payment after the interest-only period. Payment-option ARM: This mortgage allows you to choose from several monthly payment options: an interest-only payment, a minimum payment or a fully amortizing payment. Again, be very cautious about signing up for this kind of loan. ARMs have some appeal, especially for homeowners who want lower initial payments or relocation flexibility. You’ll want to do the math to make sure that if rates rise after the introductory period, your income can handle the higher monthly payments. But if interest rates stay low or even fall, adjustable-rate mortgages can potentially save you a lot of money. Hal Bundrick and Deborah Kearns are staff writers at NerdWallet, a personal finance website. Email: hal@nerdwallet.com, dkearns@nerdwallet.com. Twitter: @halmbundrick, @debbie_kearns. This post updated Feb. 2, 2016. It originally published June 19, 2014.